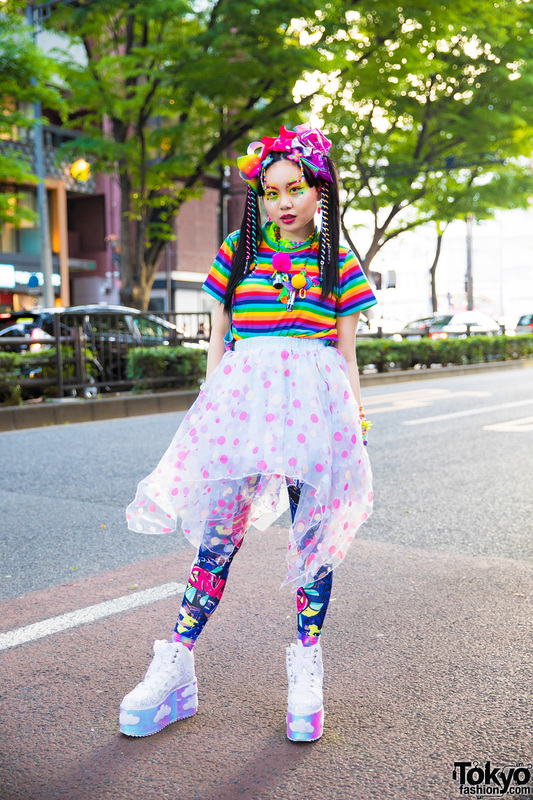 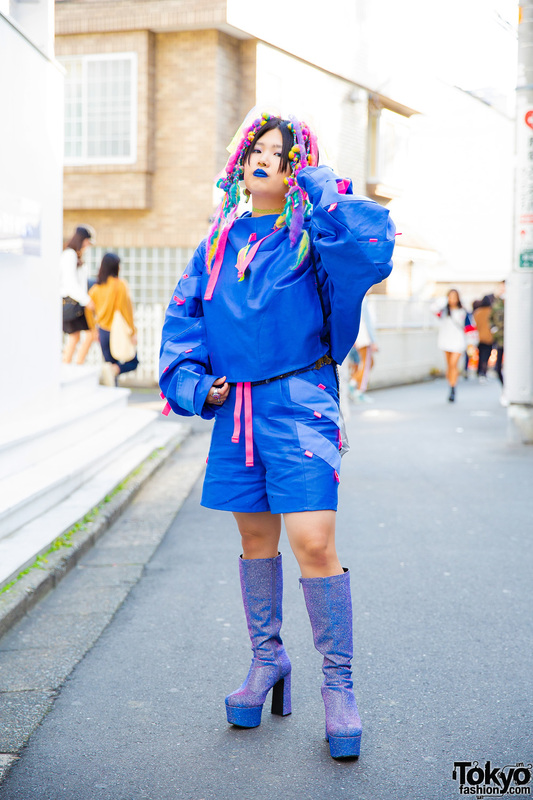 Japanese art student showcasing kawaii street fashion while out in Harajuku. 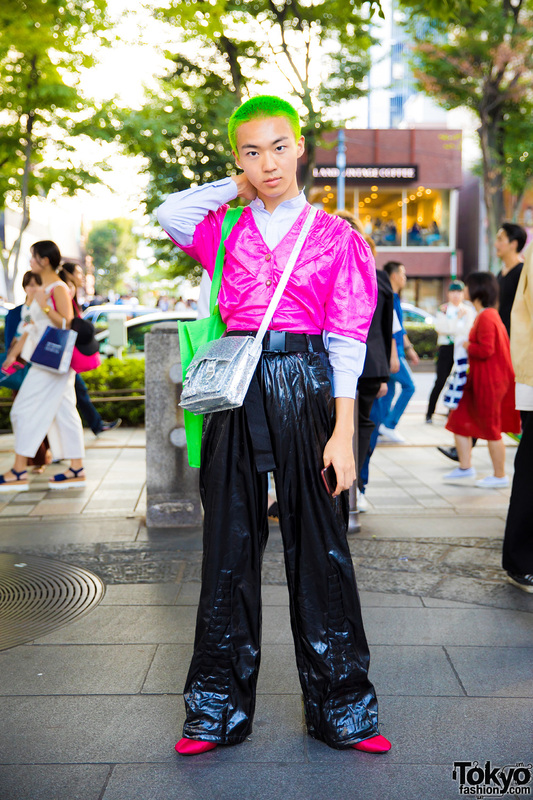 Neon-haired Harajuku stylist in vinyl fashion wearing a pink top over a long sleeve shirt, black wide leg pants, red pointy heels, a green tote bag and a silver glitter handbag. 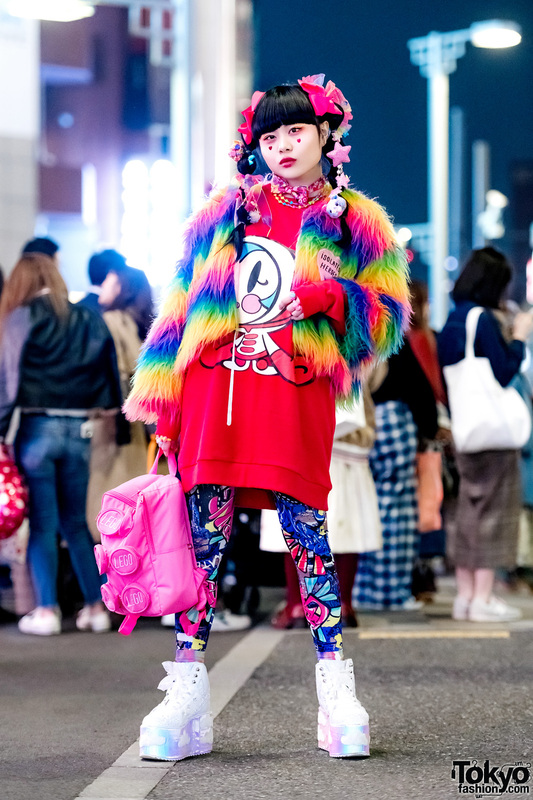 Harajuku girl in colorful layered fashion style with glitter vest over printed dress over black t-shirt, metallic boots, sling bag, hair accessory, and a colorful choker.